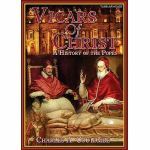 Author, papal historian, and lecturer, Charles A. Coulombe, K.C.S.S. (see video of him here.) By order of Pope John Paul II, Mr. Coulombe was created a Knight Commander of the Order of St. Sylvester for his services rendered to the Holy See. Author of the chart-climbing The Pope’s Legion, and Puritan’s Empire: A Catholic Perspective on American History, Coulombe is recognized internationally for his in-depth knowledge of Vatican politics and the influence of Catholicism in America and Europe. His audiences regularly range from graduate students at Oxford University, England to the New Mexico Military Institute, from which he graduated. His international articles have appeared in the New Oxford Review, National Catholic Register, American Thinker, Los Angeles Catholic Mission, Monarchy Canada, and The Irish Democrat. 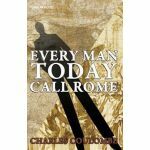 Buy Charles Coulombe Titles at Amazon.com.